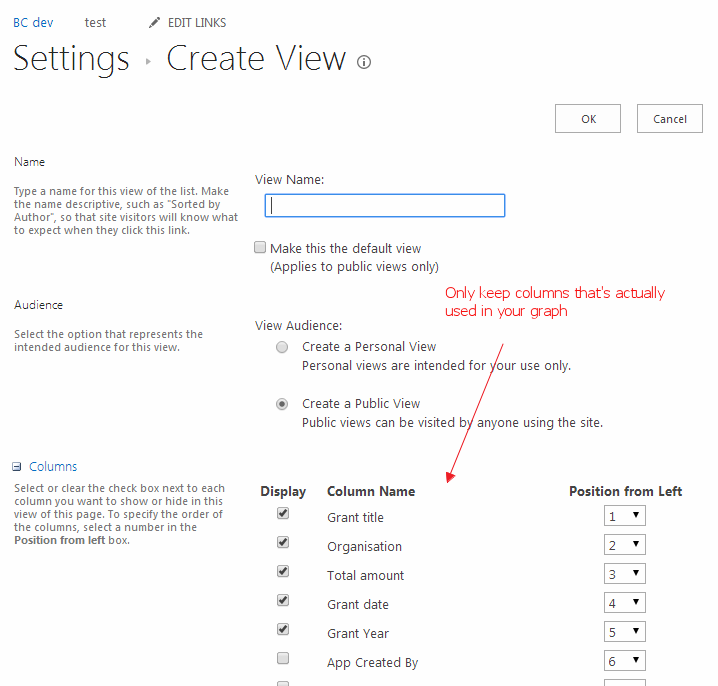 This page explains how you can graph large amount of data quickly from SharePoint, and general tips to improve visualization performances. What makes up the loading time? 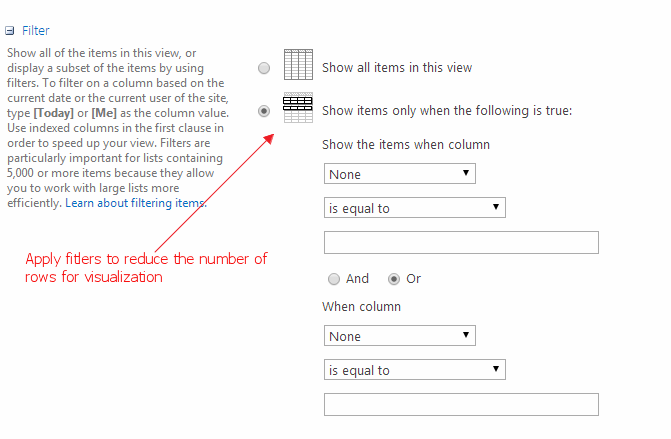 The visualizer need to do two things in order to graph a visualization. Each graph has a different purpose, and with different rendering characteristics. For example, the line graph generally can handle a lot more data points than the pie graph. This is because the line is actually one shape (called “path”), so as the result, the line graph can handle a few thousands data points without any issues. 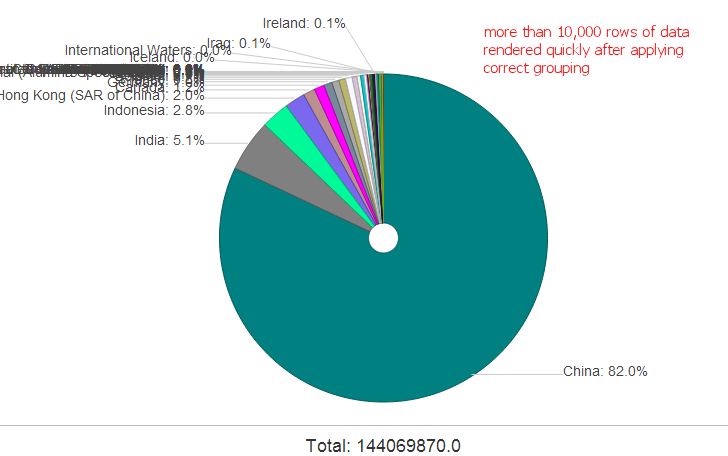 However, if you try to render a few thousands pie slices on the one pie graph, it is not going to render well. So choose the right graph is important, get familiar with the purpose and limitation of each graph and use the most appropriate one for your purpose. 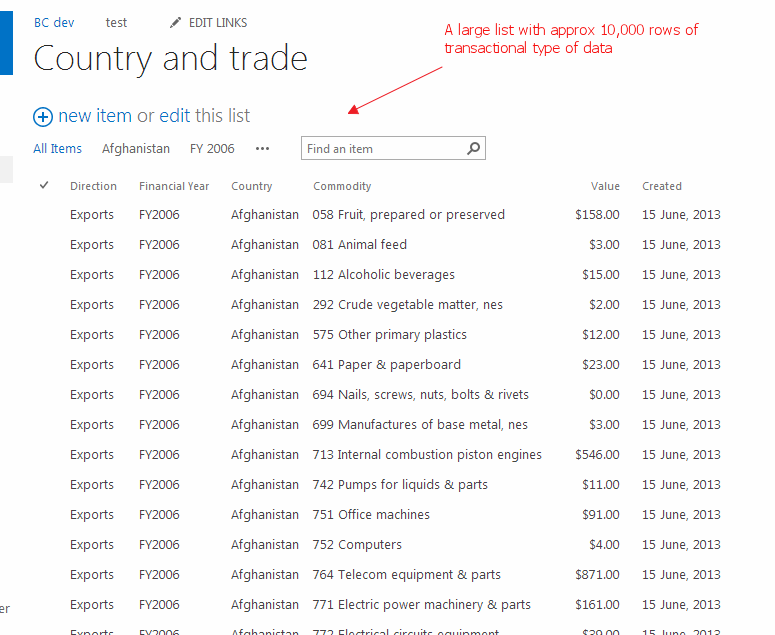 Many graphs has the ability to group data and reduce the number of data points to render. Consider the following example.